Can You Burn Fat With Food? Hello folks! Hope this post finds you well, happy and experiencing the good in your world! Thanks for all your recent comments and a big welcome to my new readers (I know you’re out there, so hi !). I love this world of blogging and I also value your ideas, so please feel free at any time to share them. We can all learn from each other here, so don’t stay quiet if you’re bursting to share something. Sometimes ‘airing’ your thoughts (as opposed to locking them in your head) can be a helpful way to clarify them yourself. Okay, so today’s post is my effort to answer the following question “Can you burn fat with food?” This is a great question and a frequently asked one! And the short answer is YES, you can increase your fat burning potential by eating certain foods. The following list explores some of the best choices. Top 5 Fat Burning Foods. 1) Not many people know this but water actually has an energy cost, that is, yes, it burns calories!! Drinking about 500 mls of water will actually burn about 25 calories and increase your metabolism for about half an hour after drinking it. If you start a very healthy water habit – say a litre a day, over the course of a week you will have burnt an extra 350 calories ! Add that up over a year and it’s definitely worth increasing your water intake. Please note that if you are exercising or out in the heat, this amount might not be sufficient. Many of us do suffer slight dehydration most of the time, without realising it. It’s only when dehydration becomes severe that we begin to notice the very negative and destabilising effect on the body, which comes in the form of headaches and fatigue. Don’t let it get that far – start your water habit today !! 2) Protein rich foods, such as eggs. Protein is essential for muscle maintenance and general health. Despite all the hype about eggs being cholesterol rich, one egg a day is allowable and desirable (if an individuals overall diet is otherwise low in cholesterol). Protein can also be found in lean meats such as chicken or if you prefer a completely fat free source of protein, try the whey protein powders found in health food stores. These make delicious smoothies and are a great way to increase your overall daily intake. 3) Fiber!! 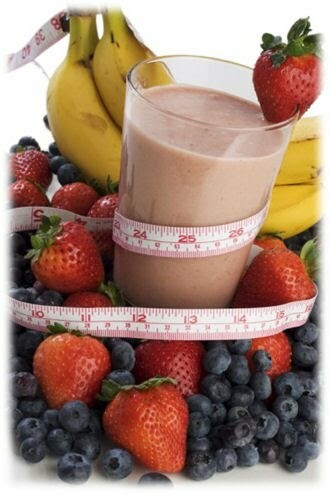 A very important part of everyone’s diet, but even more so if you want to lose weight. Fibre works in two ways. Firstly by slowing the rate at which calories are ingested and secondly, by adding volume to your diet, you feel fuller for longer. Some recommended fiber foods (yes, I have these myself !) 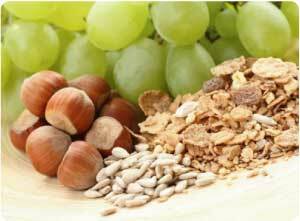 are oats, bran, wheatgerm, wholegrain breads, fruit and veges, seeds and nuts. Why not try some of these for breakfast tomorrow?? If you feel you need a little sweetener, just add some low fat yoghurt to your plate. 4) Citrus Fruits, like grapefruit,oranges, tangerines or limes. The vitamin C has a fat burning quality. 5) Cod Liver Oil. The value of fish oils is significant in overall health and wellbeing. You can reduce inflammation of joints and skin, reduce hypertension and lower body fat. Although fish oil is best consumed by eating fresh fish itself, such as salmon or tuna, a supplement can be equally effective. 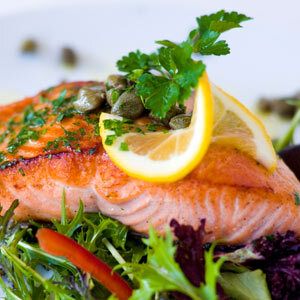 Medical authorities recommend eating fresh fish 2 or 3 times a week. So there you have it folks – the top 5 foods for healthy weight loss. Why not start incorporating even a few of these in your diet today?? Hello folks! Hope this post finds you well, happy and actively finding the good in your world! Thanks for all your recent comments and feedback and a big welcome to my new readers (I know you’re out there, so hi !). I love this world of blogging and I also value your ideas, so please feel free at any time to share them. We can all learn from each other here, so don’t stay quiet if you’re bursting to share something. Sometimes ‘airing’ your thoughts (as opposed to letting them stay locked in your head) can be a way to clarify them for yourself. Okay, so today’s post is my effort to answer the following question “Can you burn fat with food?” This is a great question and a frequently asked one! And the short answer is YES, you can increase your fat burning potential by eating certain foods. So today I’ve bought you a list of the Top 5 Fat Burning Foods. If you start a very healthy water habit – say a litre a day, over the course of a week you will have burnt an extra 350 calories ! Add that up over a year and it’s definetely worth increasing your water intake.